I have had much better success with the cheater's version of macaroons, made with condensed milk. The sticky, sweet, milky concoction holds the coconut flakes together perfectly, yielding a perfectly golden crisp exterior and a soft, chewy center. Just the way I love my macaroons. 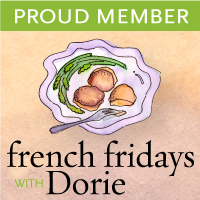 So when I came across this recipe for Ambrosia Macaroons from Bon Appétit, I was excited to try them. The recipe calls for using the whole eggs, rather than just the egg whites. And with that, they turned out perfectly. 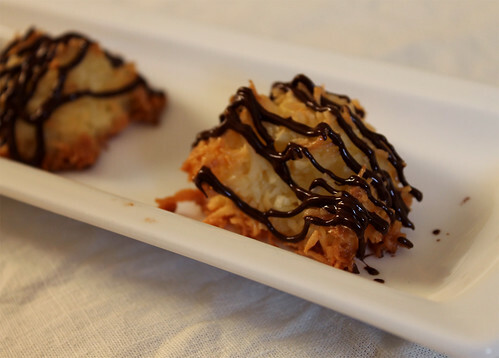 The macaroons held their shape and had the perfect texture to them. I especially love the addition of orange zest, which adds another layer of flavours to the tropical coconut and a hint of orange colouring to the cookies. The citrus flavour also plays very nicely with the dark chocolate once drizzled on top. These are a new holiday favourite of mine this season! 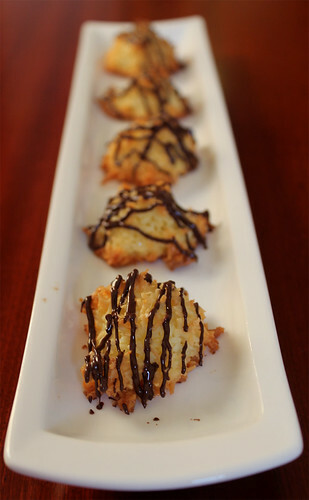 Find the recipe for these Ambrosia Macaroons here. Suzanne Ellis December 13, 2011 at 1:22 p.m.
B! Your 12 Days Of Christmas posts are amazing!! So many delicious things... getting me inspired to bake, for sure! !